Nearly every economist agrees that we can best slash greenhouse-gas emissions by charging emitters for the damage they create – but how do we know what to charge? Scientists currently estimate damages based only on what they know for sure, but the scary stuff is in what they don’t know, says Gernot Wagner, co-author of the book “Climate Shock: The Economic Consequences of a Hotter Planet”. 17 May 2016 | The US Environmental Protection Agency (EPA) pegs the social cost of carbon at roughly $40 per ton of carbon dioxide emitted into the atmosphere, meaning that each ton emitted today will generate that much damage in today’s dollars over time. The government of Sweden, however, puts the number at €100 per ton, and even charges a tax based on that amount. Those are the core questions of the book Climate Shock: The Economic Consequences of a Hotter Planet, by Gernot Wagner and Martin Weitzman, which explores the complex scientific modeling that starts with greenhouse-gas increases and their impact on temperature, moves into that temperature increase’s impact on farms, fields, and forests, and then tackles the complex and inexact science of figuring out what all that future damage costs in today’s dollars. In a nutshell, the different projections come from different ways of dealing with what we don’t know: some estimates ignore everything we can’t project with absolute certainty, while others try to account for it. Gernot Wagner: I’d be happy to get into this, but in some sense, the debate over cap-and-trade versus taxes is an academic debate that sort of floats economists’ boats, but which actually has very little bearing on the real world – because, for crying out loud, we’re all trying to do the same thing here. The operative question out of this is: what is the actual price? Now, in the long run, that shouldn’t matter, because the ultimate goal is to get emissions down to zero – or below zero, for that matter. Well, if you can do that at low cost, that’s a success, right? So we shouldn’t judge an emissions trading system just by its price. GW: The social cost of carbon is, in many ways, a misnomer – beginning with the word “carbon”, because it actually measures the social cost of one ton of CO2 (carbon dioxide), not C (carbon). There’s a difference. It essentially quantifies what we know of the damages associated with one ton of CO2 emissions emitted into the atmosphere today. That ton stays up there for a while – for centuries, millennia, on average – and it does a lot of damage. We can quantify some of that damage – the “known knowns”, or some of them – but we can’t quantify the “known unknowns” and, of course, we have no idea, by definition, about the “unknown unknowns”. Sadly, most science indicates that most of these “known unknowns” point in the direction that indicates the current estimate, the $40 per ton of CO2, is a woeful underestimate of the true cost of that ton, the true cost of climate change. So, in other words, the social cost of carbon we currently use, the $40 per ton – that’s the US government figure – can only be a lower bound of what we ought to use to incorporate the cost of climate change. SZ: In the book, you made a very strong case for the price being a lot higher. What’s your own ideal price? 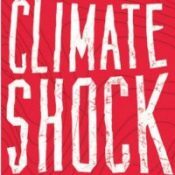 GW: Actually, in the book, in Climate Shock, we very deliberately decline to give a figure at all. What we do in many ways is to point to how uncertainty itself is costly, how not knowing is costly and how frankly, almost everything points to the fact that the $40 that is calculated based on the “known knowns” – based on what we know – can only be a lower bound, because most everything we don’t know points to a higher price. SZ: Can you give us a good example of a good “known unknown”? GW: As an instructive example on this can be found in the fourth assessment of the IPCC – the one that came out in 2007. It included an estimate of global average sea-level rise in its executive summary, and that was based on two things: thermal expansion as warmer water takes up more space, and melting ice from glaciers and polar ice caps. In 2007, there was so much uncertainty about how much the sea would rise because of melting ice caps that this part of the report contained pages and pages of estimates of what is going to happen, and it provided a range of those estimates, but the summary statistic – the summary figure – did not in fact include the fact that polar ice caps melt. Now, that’s a “known unknown”. It ended up in a footnote, because it’s not a secret that ice melts. But the estimate we had after 2007 did not, in fact, include that fact. Now, 2013, the fifth assessment report was different. Scientists in that case agree to include an average estimate of what will happen when polar ice caps melt into the summary statistic and – low and behold – that estimate went up, because that number turned from a “known unknown” to a “known known” with an uncertainty range around it, because we don’t know for sure. We can’t. GW: Sure. You have the physical event: let’s say, sea level rise, but what we really care about as a society is the economic damages associated with that event, right? How does it hurt you personally? The link there is what’s called a “damage function” as in: for every degree of warming or every meter of sea level rise or foot of sea level rise, what are the economic damages associated with that? In theory, what you would have is a damage function with every one of these potential events and then you look at all these damages. You add them up, you discount them back to the present, and you can link them to the additional ton of CO2 emitted into the atmosphere today. Every one of these tons causes some damage, and that damage associated with that ton is, in fact, its optimal social price. As we said in our last conversation, the objective isn’t to ban that ton of CO2 emissions but to price the full cost. So, every time you board an airplane to fly across the Atlantic or do anything to emit one ton of CO2 emissions, what’s the social cost associated with that one ton of CO2 that is not currently embedded in the price you pay for your ticket? That’s the question as the process goes through these damage function calculations. SZ: It was a real epiphany for me when you compared the amount of computing power devoted to programs like “DICE”, which is one of four used to estimate the social cost of carbon, to marketing research that Proctor & Gamble do, and they use massive amounts of data and computing power, while DICE can run on a PC – that, to me, says a lot about our priorities, right?? GW: In some sense, although I don’t actually know for a fact how many PhD statisticians are used in order to determine the price of toothpaste. But of course, actually it turns out the massive data that goes into these kinds of calculations. Now, when it comes to calculating the social cost of carbon, the models used for that have been typically built by one economist and a grad student or two, and there are three models that are being used to calculate the social cost of carbon. This doesn’t mean that those models aren’t in themselves a good representation of what we think ought to be calculated, but most everyone – including those who built the models – agrees that they need to be overhauled. Also, it’s not just a matter of computing power, but of essentially changing the structure of the models themselves. So this is where financial economics comes in. By now we know more about how to price assets, including assets with negative returns like CO2 in the atmosphere, and we should use those lessons. Well, it turns out it’s not the CO2 that we emit year after year, it’s the CO2 that’s in the atmosphere that’s most closely associated with average warming and, thus, with climate change. So in other words, the initial step is from emissions to concentrations. Then there’s a link from concentrations to temperatures, and that’s where climate sensitivity comes in. So climate sensitivity is this parameter that tells us what happens to global average temperatures eventually – every one of these words matter: “global”, “average”, and “eventually” – as concentrations of CO2 in the atmosphere double. So that’s the link between concentrations and temperatures. Then there’s one between temperatures and economic damages. That’s the “damage function”. Just that second step alone, the link between concentrations and temperatures – “climate sensitivity” – is, in fact, something that’s been vexing climate scientists for quite a while. As there’s a range, an “uncertainty range”, that’s existed ever since 1979, the first National Academies study. Unfortunately, uncertainty is not our friend, because “not knowing” the specific estimate is in fact costly in and of itself, because if we knew for sure where things are going we could adapt. Obviously, we want to avoid climate change in the first place, and it would still be costly, but the fact that we don’t know, and especially the fact that we can’t exclude extreme values of this range, on this link between concentrations and temperatures in itself is extremely costly. The not knowing is what increases – or ought to increase – our social cost of carbon by quite a bit. SZ: You talked about two different investment portfolios – one for a world in which we fixed this mess, and one for a world in which we didn’t. GW: In some sense, this is a thought experiment, right: when you look at how many parts per million of CO2 that’s in the atmosphere, we’ve already passed 400 ppm, and we started at 280, while there are political moves to try to limit it. There’s an organization called 350.org, which is named after a ppm goal of how much CO2 there ought to be in the atmosphere. So 350.org says we should not exceed 350 ppm and that’s probably a pretty reasonable goal now. Eventually, of course, we want to go back to 280, but we certainly don’t want to be where we are heading. Now we’re at 400, and we are on the way up. Now, here’s a thought experiment. Imagine a world where we are in fact at 350 parts per million. On the flipside, imagine a world where we are at 700 ppm. Now it turns out, unfortunately, that getting to 700 ppm is a lot easier than getting to 350. To get to 700, we just keep going the way we are going right now, while getting to 350 means massive political action. In a simple sense, if you think the 700 ppm world is more likely, you would insure yourself against the worst consequences of climate change. You’d buy freshwater in Canada. You’d buy assets that are, in fact, associated with safe bets – even in a world that is experiencing massive global warming. Meanwhile, 350 ppm is the happy world, and to get there you need to invest in wind and solar and low-carbon technologies, and you’ll make very different investment decisions if you think we’re heading toward 350 ppm than if we are heading toward 700 parts per million. From a personal perspective, of course, I’m hoping we’ll move towards 350 and not toward 700, but of course we can’t be sure. Now, this is not a lost cause, right? We clearly have to invest in the kind of technologies that are currently already available and in many ways have to be deployed at scale or for that matter, the kind of breakthrough technologies, right? There’s Bill Gates’s Breakthrough Energy Initiative, with a very clear aim of investing in technologies that are not currently available. These are high-risk bets, but bets nonetheless that could potentially do a lot of good. That said of course, there is already plenty of climate risk “baked in” where we are, so it’s a bit of both. Both speaking as someone who’s hoping to avert the worst-you might call it as an activist and sort of as a rational response to where we are. I would say it is, that the balance clearly ought to be a lot more investment on the technology front in order to avoid climate change in the first place. SZ: But that doesn’t mean we should be investing in geoengineering – or, at least, not “betting on it”. GW: That’s an interesting question. I guess the question is what you mean by “betting on it”. Now, we shouldn’t sit back and relax and essentially say, “We don’t have to decrease emissions at all.” That’s certainly not the case, because geoengineering is not the perfect solution to our problem. That said, if you walk into the doctor’s office and you do in fact have cancer, well the doctor would be remiss not to know what chemotherapy works. The analogy of course isn’t perfect, as no analogy ever is. But when it comes to geoengineering – and here I mean solar engineering to increasing the albedo of the planet in order to reflect more sunlight back into space and cooling the planet that way – it turns out from a high level, we know that it works. Volcanos have been doing it forever, and we are wearing white between Memorial Day and Labor Day and winter coats are black, because white reflects sunlight back and cools us off, while black absorbs sunlight and makes us warmer. What works for clothing also works for the planet. And volcanos have been spewing sulfate aerosols out into the stratosphere basically forever. And every time that happens, the global average temperatures decrease. So in principle we know it works. As a matter of fact, in principle we know that now we have plenty of climate model runs that essentially point to the fact that there is a lot of potential to do a lot of good. In other words yes, we should do the research to find out more about solar engineering itself. But we also ought to do the research on the solar engineering front frankly to figure out whether there is a “there” there, because not knowing is never good. Again, that doesn’t mean we should start geoengineering today, but we need to do the research to find out more about it.